Ah, the bouncy ball. A timeless toy that brings out the kid in all of us. Just released from the Disney Store, here we have their exclusive The Good Dinosaur bouncy ball featuring some of your favorite characters from the film! 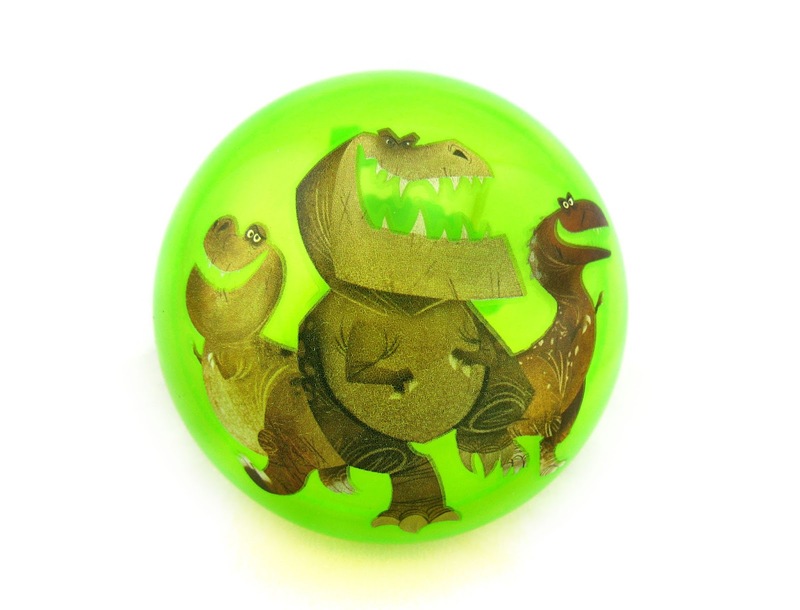 On one side we have Arlo and Spot; on the other we have the three T-Rex Nash, Butch and Ramsey. I love the minimal designs! Awesome artwork. 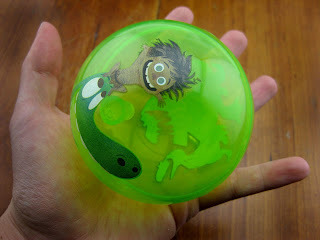 This is a neon green, transparent "super bounce" ball that measures about 8.5 cm in diameter (fits perfect in the palm of my hand as seen below) and retails for $5.95. 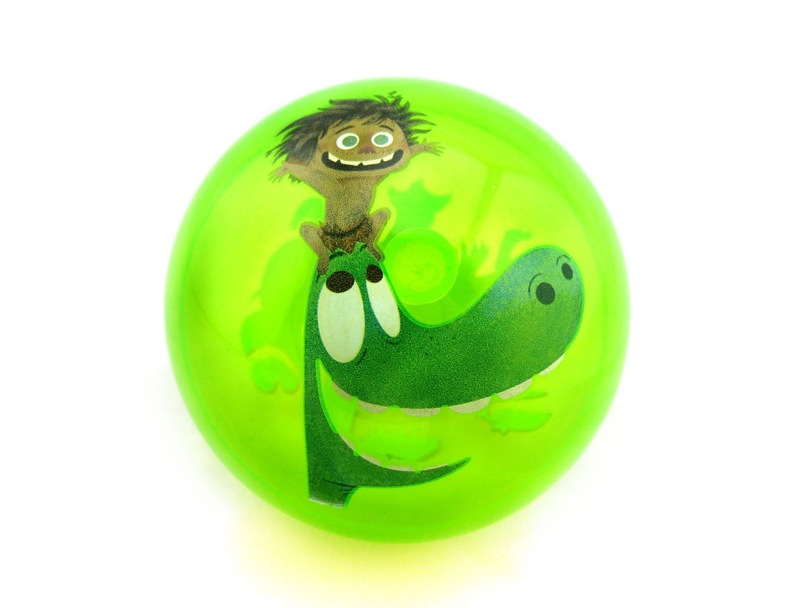 I found this ball in the "souvenir" (that's what Disney calls its smaller, less expensive items) section of the Disney Store (right by the checkout, or in Disney terms, the "box office"). It's not currently available online in the US (in the UK it is though), so dropping by your local store is your best bet if you're looking to grab this. If your young one is looking forward to seeing the adventures of Arlo and Spot on the big screen next month, definitely pick this up for some good old fashioned fun!